Marvel Studios has officially announce the Scarlet Witch and Vision series. It is titled WandaVision, yes it's the real title, and it will bring back Elizabeth Olsen and Paul Bettany to reprise their iconic roles. The news comes just a little while after it was announced that the Falcon & Winter Soldier series is officially happening too. Plus there is now news of a Hawkeye series starring Jeremy Renner as his Clint Barton character passes the torch to a young Kate Bishop. 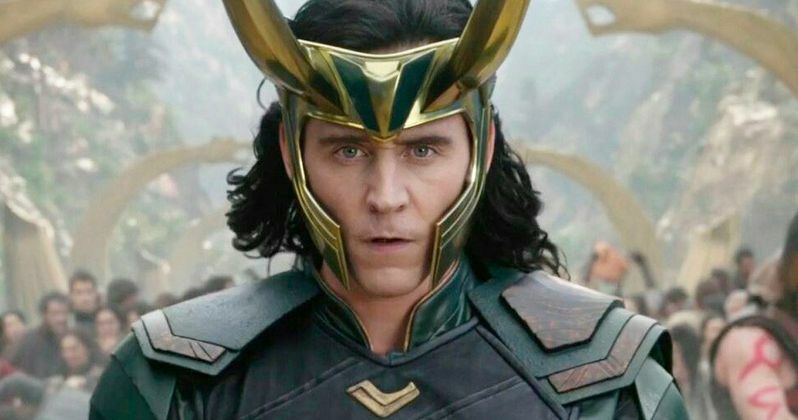 Tom Hiddleston is also coming back as Loki for his new series. It isn't clear when the WandaVision will premiere on Disney+, but the Falcon & Winter Soldier series will premiere within the first year of the streaming platform. After seeing Disney come out an officially announce all of these shows, it won't be too long before we end up seeing some more in-depth and intimate Marvel Cinematic Universe stories being told on the small screen, which has been a goal of Marvel Studios boss Kevin Feige for quite a while now. These new stories will be presented more like a comic book in terms of longer story arcs. Jac Schaeffer will serve as showrunner. Kevin Feige talked about WandaVision and you can read what he said below. "This story is definitely something unexpected and surprising, as well as something we could only do in a longform series." WandaVision joins the Falcon & Winter Soldier series and the Loki series starring Tom Hiddleston, which was confirmed by Disney boss Bob Iger. In addition, Marvel is working on a What If animated series based on the iconic comic stories from the 1970s. The first episode of the series is going to put the focus on Peggy Carter taking on the Captain Marvel name after getting injected with the super-serum. In short, there's going to be a lot more of Phase 3 MCU characters getting a new life on Disney+. Kevin Feige had this to say about the new shows. "These will be both new and continuing stories. These will be major storylines set in the MCU with ramifications that will be felt both through the other Disney+ series we'll be producing and the future on the big screen." With the WandaVision and Falcon & Winter Soldier series news, one has to wonder how this will come out in Avengers: Endgame, if at all. The Scarlet Witch and Vision show may take place after the events of Captain America: Civil War and end right before Infinity War begins. Or, their fates will be reversed in the upcoming movie. It's unclear how Earth's Mightiest Heroes will bring back the Decimated, but time travel through the Quantum Realm is expected to play a large role in the movie, which could explain how Loki and Vision are able to come back from the dead. Infinity War killed all of the characters that are all getting new shows on Disney+. Scarlet Witch, Falcon, and Winter Soldier were all victims of the Decimation. Loki and Vision were actually killed, so it's going to be very interesting to see how Marvel Studios pulls this off. Avengers: Endgame will more than likely shed some light on the subject to let us know how these new shows will be possible. The Hollywood Reporter was the first to announce the WandaVision and Loki news.